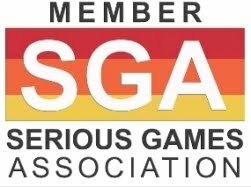 Via: Intel Software Network Blogs - It Manager, Your Game Has Evolved: IM3 Unseen Forces Has New Challenges! In IT Manager 3: Unseen Forces, you play the IT manager of a small company with global ambitions. Part of your job is ensuring that everybody’s desktop PCs, laptops and servers keep running smoothly. A huge number of things can – and will – go wrong. There are dozens of different software and hardware faults to tackle. Sometimes these are easy to repair; sometimes they aren't. Using a collection of technologies (cooling, security, mobility, multi-core machines) you have to keep the servers running and the people working. Some skills are locked at the beginning, but experience gives you opportunity to add them to your arsenal. The problems users face range from virus attacks or slow computers to broken disks or strange beeps. And the problems you face range from simultaneous support requests to spam in your inbox. 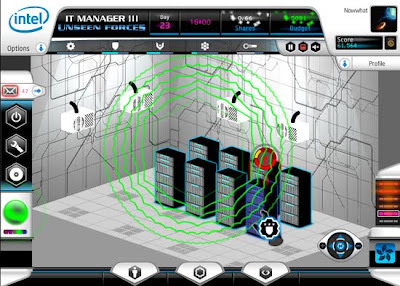 IT Manager III: Unseen Forces is a game designed to entertain IT professionals whilst communicating the role Intel technologies have to play in a modern enterprise. 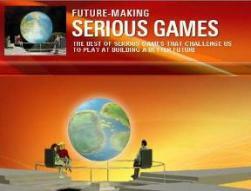 The game is web-based and free to play. Much of the renewed interest on the game comes from its newest feature: Crisis! Management suddenly slashes your department’s budget and your mission is to make the business case for upgrades. If you appeal the budget cut, you are invited to a meeting with your CEO. This is your chance to put your argument. It’s up to you to convince the boss to keep investing in IT. Only if you address your CEO’s concerns will your department’s budget be restored. Fail to make a compelling argument and you will find it more difficult to meet your objectives. However, those who master the art of successful negotiation can win a new medal.